Holds over 1 1/2 cups of your favorite seed or even dry egg food. Reduce hull mess and keeps most hulls in the removeable tray for easy dumping. 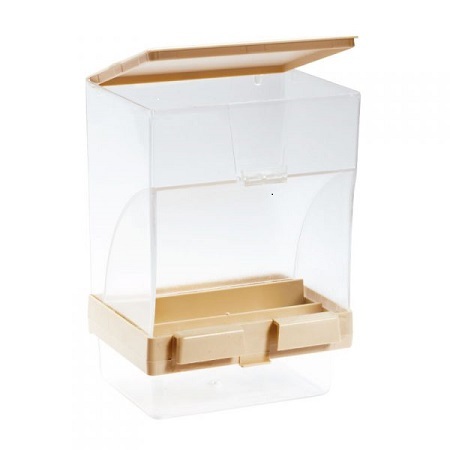 Clear plastic so easy to identify low level of food from a distance.